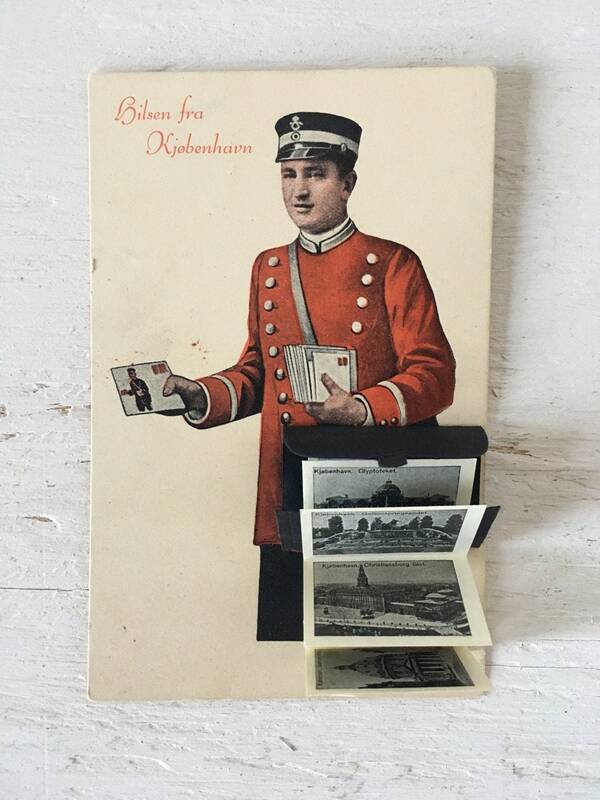 What a cool vintage postcard from Copenhagen, Denmark! 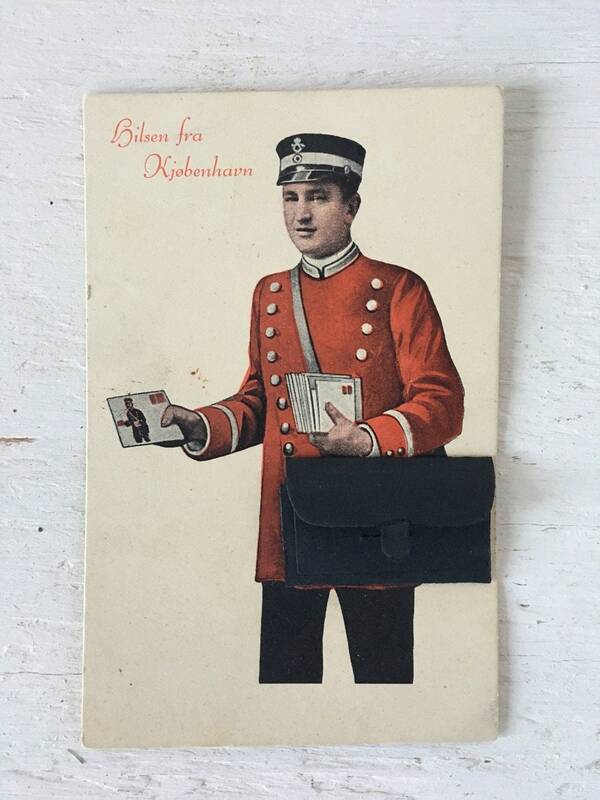 It looks like this dates back to the 1920's and is unique for it's mailbag which folds out to reveal "mail" with scenes from Copenhagen. A very neat card for anyone's collection. 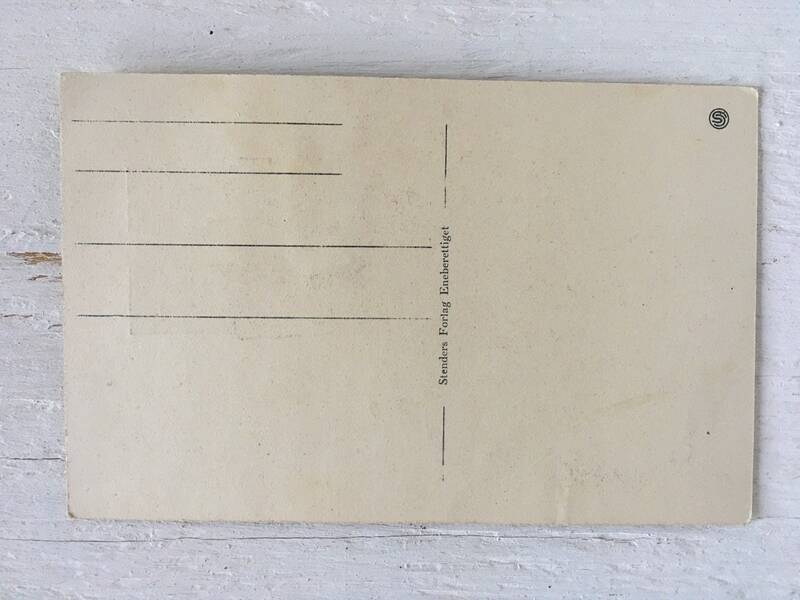 The card is in good vintage condition and has not been used. The mailbag is attached and the "mail" is intact, but the tab on the bag has seen some use, so be careful with the tab. The card ships in an envelope with cardboard stiffener.